Several years ago, I believe the Lord gave me an idea for a school curriculum which not only combats Childhood Obesity, but is an Alternative to Yoga in the schools, too! PowerMoves Kids is used in 100's of classrooms in Public, Private & Home schools since 2006 and is endorsed by teachers, parents — even the Dept. of Education! oga in Schools? Yes. A LOT. There are 21,900 entries for “yoga in schools” on Google. We have received emails from parents concerned that their children are being taught yoga, meditation and “creative visualization” to meet their fun little “cartoon spirit guide” in their public school. Does that concern you as it does us? “Yoga is religion,” according to Professor Subhas Tiwari of Hindu University of America. Many Christians and Hindus agree on that point. I was quoted in a TIME magazine article on the subject with Professor Tiwari (My quote, you may have read said, “Christian yoga is an oxymoron.”). “Efforts to separate yoga from its spiritual center reveal ignorance of the goal of yoga,” Tiwari was quoted as saying in Hinduism Today. Can we work so-called “Separation of Church and State” to our ADVANTAGE? I know several parents who have done just that! “YOGA IS RELIGION according to many Hindus and Christians,” parents have told their public school administrators. “I don't want my child involved in that religious activity.” And they won! 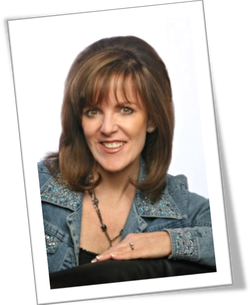 If you want to discover the roots and fruit of yoga, “yoga missionaries,” what the Bible has to say about it, as well as the Christian ALTERNATIVE to yoga (PraiseMoves) – see my article “Why a Christian ALTERNATIVE to Yoga?” on PraiseMoves.com. Would You Agree that Childhood Obesity is a Problem? The statistics are staggering – and the answer is not the perfect diet and extra laps. It's an “inside job.” I know, having been an overweight child myself. Food was my first “drug of choice,” as it is for many children seeking to find comfort and self-medicate. It's more than a clever slogan with PowerMoves Kids. We believe it wholeheartedly. PMK is completely public-school friendly. Many Christian schools and home schools use PMK, too! 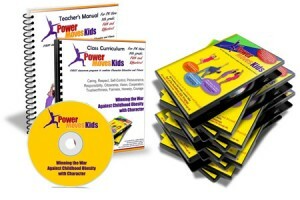 See PowerMovesKids.com and read about this unique, ground-breaking program. Perhaps it's something you would like to see in your local school. There are whole schools and school districts which use the PowerMoves Kids Program–at about 1/10th the cost of other Character Education programs (which do NOT have the fitness element built in! ).